Many births are straight forward and involve no injury. It's not something that is to be expected, but it's worth knowing about what might happen. If you're at least aware of the possibilities, you can be more involved in any decisions if anything goes wrong during the birth. Birth injuries can include physical damage such as stretching, bruising and tears.  An example of minor injury during a birth is an episiotomy - where your birth team may need to make a cut to get the baby out quickly, or to avoid tearing. If this happens, stitches may be required. The subject of birth injury and birth trauma is rarely talked about. Some people are embarrassed to discuss it or they don’t want to put other women off. But it’s good to talk about it since there are some things you can do to reduce your chances of injury. That said, sometimes it’s just a case of bad luck and there would have been nothing you could have done to prevent it. This section is not designed to scare you but rather inform you and give you more of an idea of how to get help if it happens to you.  What is the risk of physical injury? You may sustain a physical injury during delivery of a baby. 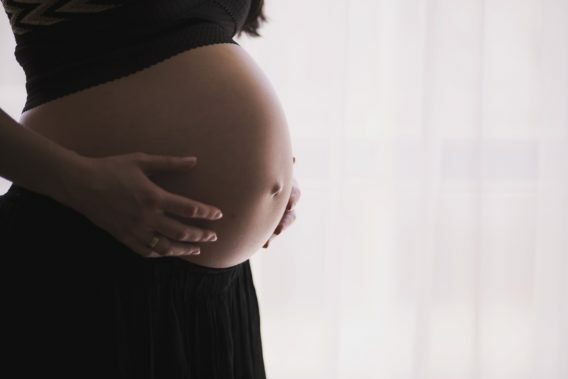 You are at higher risk if you have: big babies (especially over 4 kg/9 lbs), a rapid second stage of labour, torn in a previous delivery, forceps (or ventouse) deliveries, or a baby in an abnormal birth presentation, such as breech or sideways. This is a very serious condition where the placenta separates fully or partially from the blood supply provided by the uterus. This causes internal blood loss in the mother and means that the placenta is not able to deliver oxygen and nutrients to the baby. This occurs in less than two percent of women but can result in premature birth, stillbirth or even death of the baby shortly after birth. Around 80 percent of placental abruptions are accompanied by bleeding so get an urgent assessment of your baby and placenta if you bleed. Other symptoms include broken waters containing blood, reduced movement in the baby, abdominal pain and continual contracting of the uterus. When the baby needs to come out quickly, a doctor will perform a cut (called an episiotomy) if they think the mother will tear badly without it. If this isn’t performed, the mother might suffer serious tears. An episiotomy may also need to be performed for forceps or ventouse deliveries. Sometimes if the baby is born very quickly the vaginal area can tear. Tears are described as first-degree tears (quite common little tears that do not need suturing), second- or third-degree tears, which can involve several layers of tissue and will need stitching. An obstetric fistula is a hole between rectal and vaginal passages that can sometimes result from a difficult birth. Stitches usually required. After an episiotomy or some tears during birth, or a caesarean, a mother will require stitching. These stitches can sometimes become infected or open slightly. Nerves around the vaginal and rectal area can be damaged during a difficult birth. Stretching of the pelvic muscles during birth can cause incontinence. Bruising and swelling can make going to the toilet and sitting down painful, and bladder control difficult. Treatment can include pelvic floor exercises and in some cases, surgery may be required to treat resulting incontinence. Feelings of loss of control and extreme vulnerability. Upsetting attitudes of the people attending the birth. Absence of informed consent to medical procedures. Fear for the baby’s safety or their own safety. Birth of a damaged baby. Previous trauma revisited – eg childhood trauma or domestic violence. If you are injured in any way during your birth, the most important thing is to talk to your doctor or midwife straight away. They will be able to give you the help you need. Remember if something’s happened to you, it’s probably happened to a lot of other people as well, and there will be support out there for you. Many maternity hospitals offer an afterthoughts service where a midwife or obstetrician will go through your labour notes with you and discuss the birth, reasons behind decisions made and how you felt during the process. This can really help mums to feel acceptance and understanding and forgiveness of what happened during the birth of their baby. If you have had a difficult or traumatic birth you may need to recover and regroup before spending time with your baby. If your baby has to be taken straight to the neonatal intensive care unit (NICU) or the special care baby unit (SCBU), see if your partner can be with your baby while you are in recovery. Even after a straightforward caesarean delivery, you will have to remain in a recovery ward for two hours before you can see your baby. You can also ask your partner to give your baby a clean handkerchief or muslin that has been next to your skin so that she knows your smell. The hospital staff will make it a priority that you are taken to your baby as soon as medically possible. In the meantime, they will bring you a photo of your baby safe in NICU. They may also help you to express some colostrum so that your baby can receive the first feed of your milk. Remember that it’s OK to ask for all this to happen if it isn’t offered automatically. When you are reunited with your baby, lay her on your chest in skin-to-skin contact if you can. This so-called ‘kangaroo care’ is really beneficial to both of you. The more time you can spend cuddling, smelling, feeding and talking to your baby, the sooner you will begin to feel like a mum to your new baby. If you feel very sad and overwhelmed in the days after your baby is born, talk to the hospital staff, your doctor, your health visitor or your community midwife if you are already home. They will be able to advise you about local support and help you to bond with your baby. Even if you are depressed it will really help your baby and you to have lots of skin-to-skin contact and eye contact. It will also calm your baby, reduce their crying and make it easier to be together. Your new baby has no expectations and will unconditionally love you, accept you and want to be with you.